Just a quick post on some stuff I have been quite attracted with. I did not own Mac Cosmetics stuff expect for the brush cleaner and the Mac Fix Plus. It was my first purchase but it was a long time ago. I still can't find to afford any Mac Cosmetics yet. Haha. In sya Allah soon kalau ada rezeki lebih... 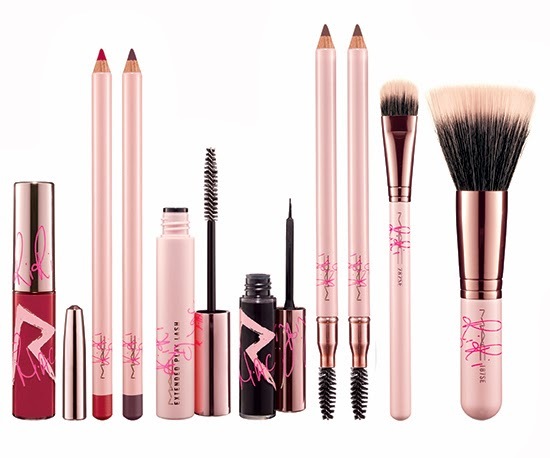 If you are not familiar with Mac Cosmetics collections, well basically Mac always launch many type of collection in every season they can found. From Spring to Summer to Fall and Winter. I don't know why but I never get that into their collection and to my surprise, for the first time I am in love with this Fall 2013 collection. I am not a fan of Rihannah actually but this collection with collaborates with Rihannah is superbly awesome! I freaking love this collection adn I think all the colors in this collection are pretty amazing choices! The packaging, what I could say more, Pink and gold just perfectly born together! From all of this collection I am pretty much attracted to the eyeshadow quads. I am planning to collect mac eyeshadow in the future in theses 4 quads palette rather than the 15 palette. 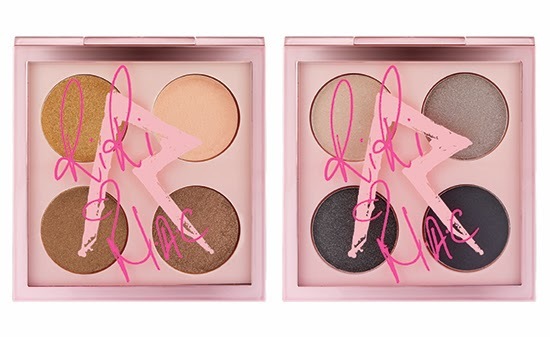 So if i can get this Riri palette, it would be amazing! This is not just the collection. Look at below link for full info. I Google for some information if this will be available in Malaysia unlucky me I cant find any information about that. Its so weird that we don't have an official FB page for Mac Cosmetics Malaysia. As what I can see is Mac is amazingly accepted here. What do you think of this collection? If you have the chance would you buy it? 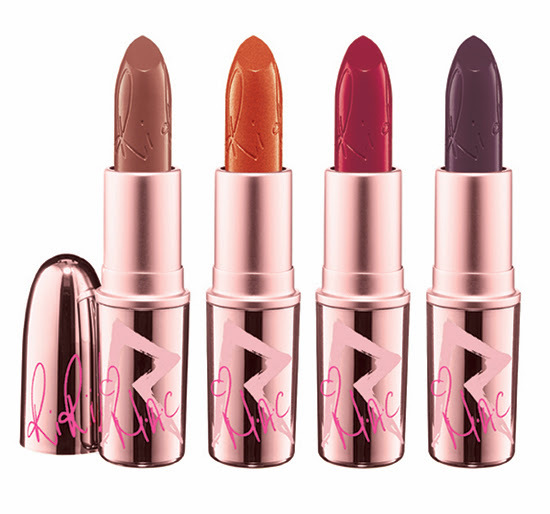 I am so interested in the lipstick! do you know the prices in RM? also the new retro matte collection is also launched..any idea on prices? not yet... :) you acn see the USD price at the link i gave above at temptalia blog.